Cricket bats come in a wide selection of features, and selecting one will depend on the cricketer’s personal preferences. For many, comfort is key when it comes to determining what makes a quality cricket bat. However, there are many factors involved in choosing one that best fits your needs. In case you are still on the hunt for a bat, be sure to read the rest of the article because we have one that’s up for a discussion: the GRAY-NICOLLS Supernova 500 Lite Junior Cricket Bat. Choosing the right kind of cricket bat is important for cricketers to maximize the execution of their techniques. 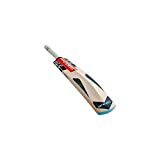 If you are a beginner or at the junior level, you will feel at home with the GRAY-NICOLLS Supernova 500 Lite Junior Cricket Bat. 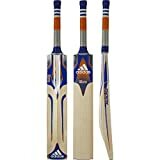 It has the structure, feel and pickup of a bat that will easily accommodate the needs, style, and capability of a junior cricketer. There is a reason why certain bats are ideal for a specific age group or skill only—size and weight are often essential factors that can make or break the performance of a player. The bat’s weight is especially crucial since it can have a huge effect on the manner that you play. There are individual inclinations in terms of bat weight, although bottom-handed players often tend to depend on heavier bats. However, if you are a beginner or a junior level player, you need a piece that your top hand can control. For starters, the Supernova 500 Lite features a contoured profile for maximum balance and sufficient power that younger players or entry-level cricketers can handle. For comfort, the model was also provided with a semi-oval handle shape to make gripping and controlling it a breeze. Of course, it is more ideal if you go to a brick and mortar sports shop and try out a cricket bat before your purchase. But at times the selections at those shops can be limited. If you want more options, you can always go online. 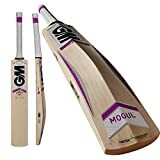 If you are a beginner, you can first try out a model in a physical store first and as soon as you have honed your skills and determined what you need in a cricket bat, you can then check out eCommerce shops. There are loads of brands and models available for sale online so you will have more options to check out. Testing out a cricket bat is important since it allows you to acquire a sense of a bat that is appropriate for you. You must try several strokes with the bat and to guarantee that you are choosing the bat to see if it is more fitting for your style; grip the bat with your top hand and stretch your arm out to your body’s front. You should be comfortable in this position for a few seconds. This will guarantee that you are perfectly comfortable holding the bat and this will lead to a more solid play from you. As for the product’s sweet spot, many have noticed that it was efficient and it will suit the needs of front-foot players. For beginners, the sweet spot is the location wherein the center of gravity drops, and is the location where the batter will most probably hit the ball with the cricket bat. If you like to hit low, the Supernova 500 Lite might satisfy your preferences. There are no complaints about the product among online retail customer reviews. 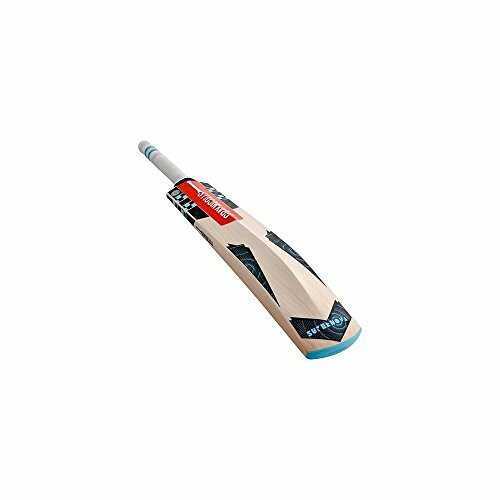 The GRAY-NICOLLS Supernova 500 Lite Junior Cricket Bat is a model that both entry-level and junior cricketers will appreciate. Recommended especially for front foot players and cricketers who like to hit low.